Gardening in New England is no easy affair. With harsh winters, and arid hot summers, only certain plants will thrive, and then only if planted in the correct position in the garden. New England has a wide range of gardening zones from a frigid zone three in Maine and northern New Hampshire, to a much more agreeable zone six in coastal Connecticut. New England has just experienced one of its worst winters in many years and it’s the cold that limits gardening. Plants that would be hardy and able to survive a winter in some parts of New England will simply die in others. 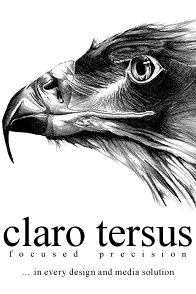 The region also comprises many micro-climates; a plant may survive in one town but not its neighbor. Frosts kill annuals (plants that only last for the summer) so care must be taken not to plant them before the last frost. This can be from the end of April along the coast to early June in the mountains. Memorial Day is traditionally the first day for planting annual and vegetable gardens in many areas. The best way to ensure your hard earned dollar isn’t wasted is to obtain expert advice before you buy a plant. While the larger retailers offer seemingly good prices, if you are paying for a shrub that won’t survive, its money ill spent. This is where your local garden center comes in. Staffed by people who are knowledgeable not just in plants and gardening but your local climate too, these folks can tell you not only what to buy, but also where to best place it in your garden. 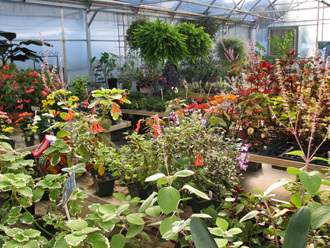 One such garden center is the family owned and operated Cortina Gardens in New Milford, Connecticut. Bill Leviness is the third generation of his family to work at the garden center. Around ten years later Mary’s husband, Quirino Cortina, joined his wife full-time in the business which flourished. The key to their success? 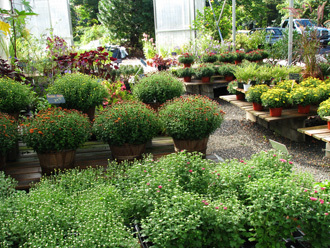 Making sure they only sold the best possible plants to their customers and offering friendly, expert advice. In 1991, Mary and Quirino retired, nearly thirty years after Cortina Gardens opened and their daughter , Margherita Leviness, and her husband William took over. Margherita has worked there ever since. Bill explains how he became involved in the garden center. In his early twenties Bill worked at the nursery with his parents when his father passed away suddenly. 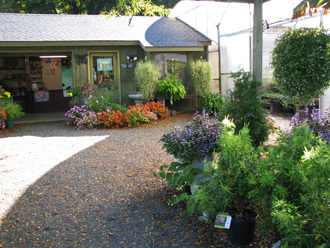 The garden center sits today on two acres with lush, inventive landscaping out front which spark ideas and conversations with Bill, Margherita and the other family members often to be found there. Bill particularly enjoys growing new plant varieties, and many a new treat can be found at Cortina. With over thirty years experience between them, there isn’t a question that Bill and Margherita can’t help the budding, or seasoned, gardener answer. In addition to their fresh, ever changing stock, plants can be ordered if something in particular is needed, and they sell exquisite hanging baskets and containers, filled with amazing combinations of textures and colors to brighten even the gloomiest of spots. 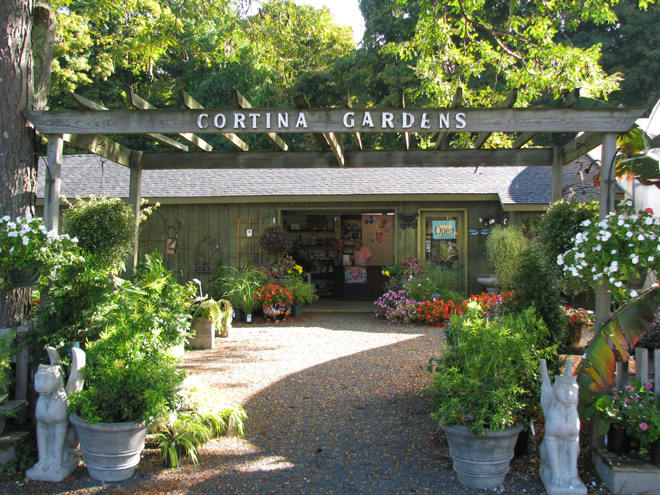 With such essentials as garden tools, fertilizer, deer spray, compost, containers and the like available, it is easy to see why Cortina Gardens has offered a one-stop shop for its loyal customers for nearly fifty years. 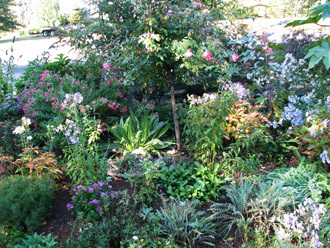 Cortina Gardens is now open for the 2011 season. 9AM - 5PM, seven days a week. After August 1, 2012, Cortina will be closed on Sundays.